‘Beside the Laughing Kitchen’ is the poem I contributed to Voyagers: Science Fiction Poetry from New Zealand, which was edited by Mark Pirie and Tim Jones and published by Australian Publisher ‘Interactive Press’. I am posting a science fiction poem because this weekend, it’s ‘Au Contraire’ – the 2010 New Zealand Science Fiction Convention, and on Sunday at 3pm, I will be joining Tim Jones and Harvey Molloy there for a panel discussion on science fiction poetry. The Convention takes place at the Quality Hotel in Wellington over 27-29 August 2010 and costs $60 for the full three days or $40 for a single day ($30 & $20 if you’re unwaged). 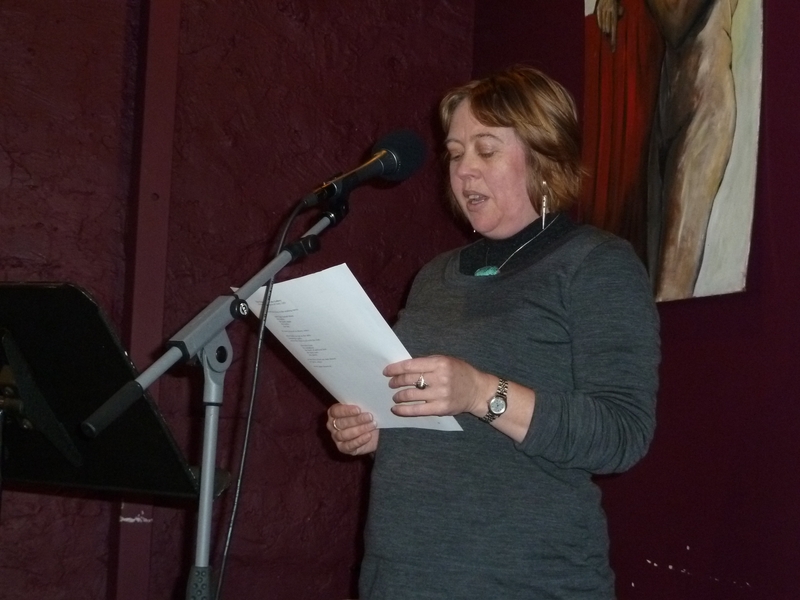 You can read the programme (which includes a number of writing workshops) here http://www.aucontraire.org.nz/events.php. A while ago, I blogged about the benefits of constraints in poetry – using specific poetic forms. The challenge, of course, is to make it look as though the poem is something that just occurred to you and quite naturally happened to come out as a villanelle or a sestina, rather than looking as though you’ve just spent the last 14 hours struggling with the third line. Or worse, looking like you’ve chosen the words to suit the form, forcing them into places they don’t naturally fit, like glass slippers on Cinderella’s ugly sisters. There are three books I’ve found particularly helpful with respect to “formal” poetry – poetry that follows a particular form (like a sonnet): The Making of A Poem by Eavan Boland and Mark Strand, and The Book of Forms by Lewis Turco. Saw the reluctant. . .
I’ve been struggling for days now to write a poem in Sapphic stanzas and have just about managed to get the first verse into a decent-ish sort of shape (though when I look at it again tomorrow, I may feel differently). Quite a challenge getting the stresses right, but at least it doesn’t have to rhyme. So, if you’re looking for inspiration or just want a good poetic work-out, or your poem isn’t working in its current incarnation – may I recommend Sapphic stanzas! Luit: c’est un petit val qui mousse de rayons. Sourirait un enfant malade, il fait un somme. Nature, berce-le chaudement: il a froid. Shines: it’s a little valley, frothing with sunshine. Nature, hold him warmly: he is cold. Tranquil. He has two red holes in his right side. This is one of two French poems I learnt at school (for the Alliance Française competition, I think). Apparently Rimbaud was only sixteen when he wrote it. It paints a lovely, peaceful picture of a young soldier sleeping – until we get to the last line and find out about the two red wounds. As is often the case, a lot is lost in the translation (like the rhyme scheme and the fact that the word ‘trou’ is used both at the start and the end of the poem, each time with a different meaning – the hole or hollow of the valley versus the hole a bullet makes). 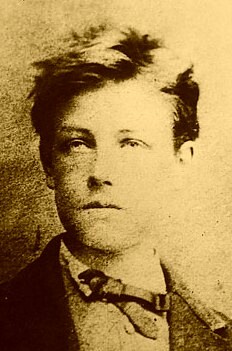 Arthur Rimbaud (1854 – 1891) was born in Charleville, in the Ardennes in France. He was known as a libertine and part of the “decadent movement”, producing his best known works while still in his late teens. He travelled extensively, had a scandalous love affair with Paul Verlaine (who at one point shot him in the wrist), hung around with other poets on the boulevard Saint-Michel, and indulged in absinthe and hashish. By the age of 21, he had given up writing poetry and later spent some time as a gun runner in Africa. He died from cancer at only 37. Another of mine this time – this one was first published in Blackmail Press 13 and reprinted in AUP New Poets 3.